We have been awarded the ”Kranmärkt” label! 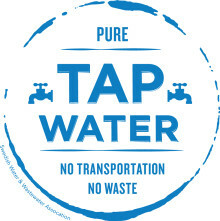 On the World Water Day 22 March we celebrate that we have been awarded the “Kranmärkt” label. It means that we take stand for the environment by saying no to bottled water. Instead we serve and drink fresh, good for you, locally-sourced tap water. 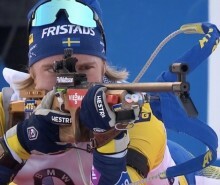 FM Mattsson has entered a partnership with biathlete and Olympic medallist Sebastian Samuelsson. Sebastian is a good example and represents winning spirit, determination and high performance, which we at FM Mattsson are eager to be associated with. A reused exhibition stand, a large dose of inspiration and top quality kitchen and bathroom products. Sustainability and Swedish quality will be keynotes when Mora Armatur and Damixa exhibit at the Stockholm Furniture Fair. 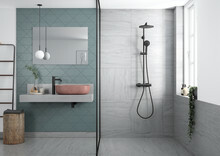 Danish Damixa grabs 2019 straight by the horns by launching a new design of their shower system, Slate, and simultaneously upgrading it with new smart features. 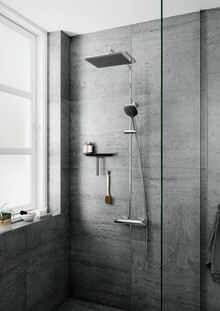 The elegant design series Silhouet by Damixa has now been substantially expanded. Three beautiful finishes provide new opportunities for adding the final touches to your home with a stylish Danish design mixer. The metallic colours have unique PVD surface coating, while the black one has been treated with a practical and extremely durable matt lacquer. This year’s Almedalen Week has just started, and FM Mattsson Mora Group will be there to put water on the agenda. The main focus is how we can reduce the use of water - primarily by smarter constructions and by starting to set requirements for constructions. The event ”How do we ensure the best possible use of water?” is being held Wednesday July 4 at 13.00-13.30. 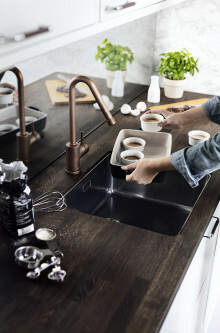 The Danish mixer company Damixa introduces Silhouet – a stylish new series of water taps and shower systems for the modern home. The Silhouet series is designed by Danish design duo Halskov & Dalsgaard, who thereby continue Damixa’s tradition for mixers that combine Danish design with world-class quality. FMM Group has entered into an exclusive partnership with the Lund-based technology and innovation company Watersprint, which manufactures products for water purification. 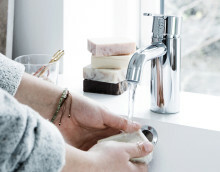 The partnership, which will focus on products in the heating, plumbing and sanitation segment, is part of FM Mattsson Mora Group’s sustainability agenda related to the environment, clean water and reduced water consumption. 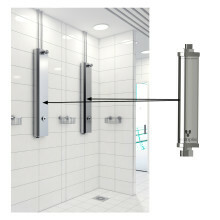 Award winning Danish design taps and shower systems are now available for concealed mounting in Germany and the Netherlands. The Concealed products, designed by danish designer Lars Osterhaab, are meant to be built into walls and have been developed with equal attention to quality and the needs of professionals and consumers alike. Marcel van ‘t Ent has been appointed Managing Director of FM Mattsson Mora Group’s subsidiary in Holland and Belgium, incl. the well-known sanitary brands Damixa, FM Mattsson and Mora Armatur. Taps and mixers producer Damixa has received a total of three prestigious international Red Dot Awards for product design 2016. All three products have been commended for "High Design Quality". The products, two kitchen mixer taps and one shower system, all distinguish themselves by uniting everyday practical use with beautiful design. Fredrik Skarp has been appointed new President and CEO of FM Mattsson Mora Group AB. He will assume his position no later than June 2016. 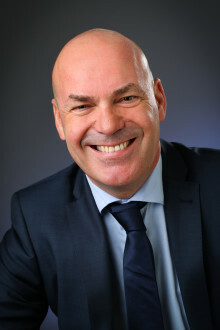 He has both a broad international experience from several senior positions within the SSAB and a strong local presence in Dalarna, where he in recent years has been the CEO of Mora of Sweden. 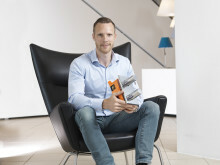 He most recently comes from the position as CEO of Scanmast. FM Mattsson Mora Group has signed a sponsorship of the Finnish national icehockey teams. The sponsorship runs for 3 years and includes World Championship and Winter Olympics. The new collaboration is aimed at increasing the knowledge of the 150 year old Swedish and Danish marketleader in Finland. The Board of FM Mattsson Mora Group AB (publ) announced on November 3, 2015, its intention to apply for a listing of the Company's B shares on Nasdaq Stockholm. The Company has today been informed that all conditions to obtain an approval from Nasdaq Stockholm are currently not fulfilled in terms of the Board’s composition and routines. The planned listing in 2015 is thereby re-scheduled.